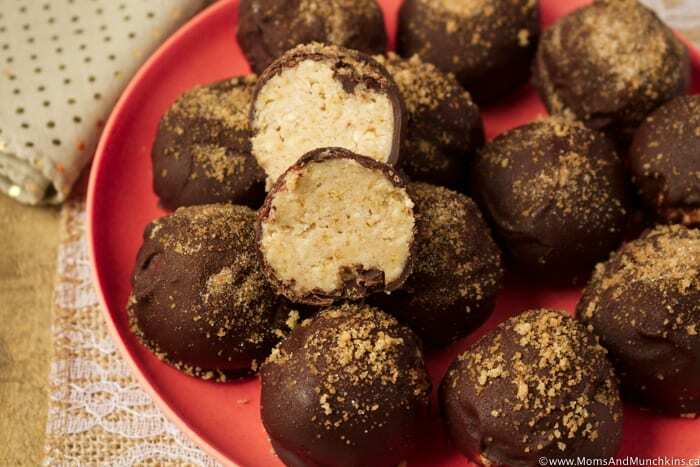 These Cinnamon Bun Truffles really are irresistible! The truffle filling is a delicious combination of cream cheese, butter, sugars, cinnamon and crushed Oreo Cinnamon Bun cookies. This no-bake treat is incredibly easy to make & it’s a great recipe to save for a holiday baking exchange. I told myself I’d just try one (for research purposes, of course) but then that one turned into two…then three…then I had to package them up quickly and drop them off to a few friends. I’m thankful for dessert-loving friends who are more than happy to accept my baking so I don’t have to indulge all by myself. These are best stored in the freezer and there’s no need to thaw them before eating. These are best stored in the freezer and there's no need to thaw them before eating. Beat cream cheese and butter on medium speed until mixed well. In a small bowl, combine brown sugar, white sugar and cinnamon. Stir well to mix then take 1 tablespoon of the sugar & cinnamon mixture and set this aside (you'll sprinkle this on top of the truffles after dipping them in chocolate). Add the rest of the sugar & cinnamon mixture plus icing sugar to the cream cheese mixture. Beat until mixed well and creamy. Crush Oreos into crumbs then stir into icing mixture. Stir until well blended. Scoop 2-tablespoon size balls of icing mixture and place on a wax sheet lined cookie sheet. 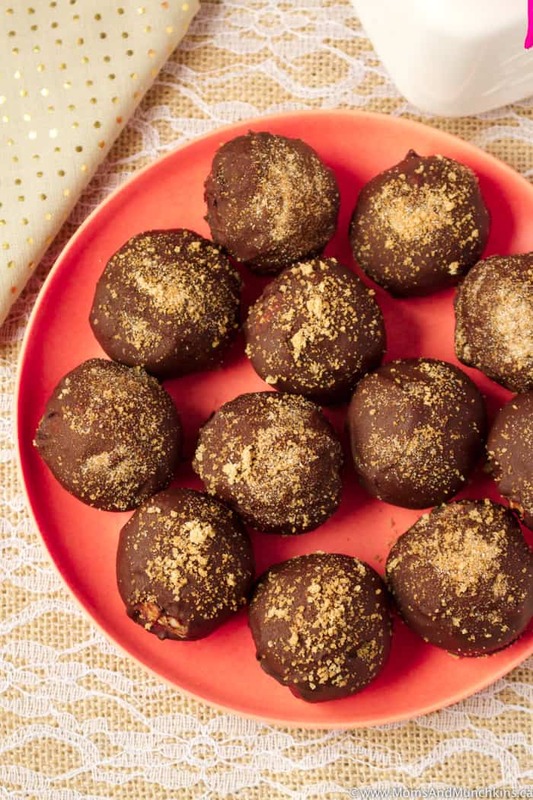 Place these truffles in the freezer for at least 30 minutes before dipping into chocolate. In a small bowl, melt the chocolate in the microwave stirring at 30 second intervals. You want this melted but not really hot. Take out 4 truffles at a time (these melt quickly so keep the others in the freezer until you're ready to dip them) to dip into the chocolate mixture. As each truffle gets dipped in chocolate, sprinkle some of the sugar & cinnamon mixture over top of the wet chocolate. 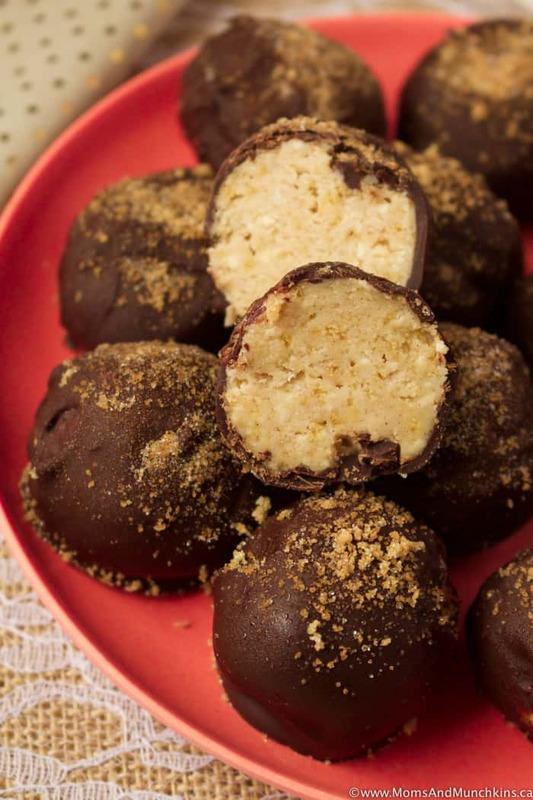 Place the dipped truffles back onto the wax paper and back into the freezer so the chocolate can harden. Store truffles in the freezer until ready to serve. Love cinnamon bun desserts? 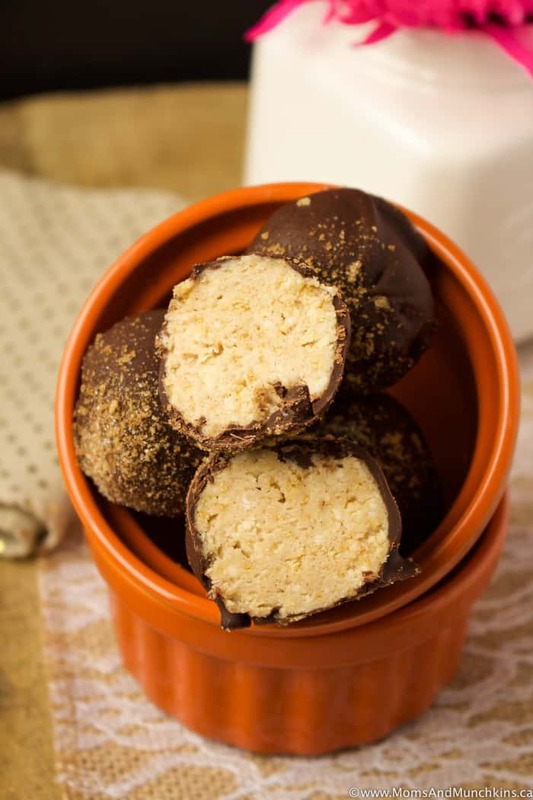 Check out this delicious Cinnamon Bun Cheese Ball. 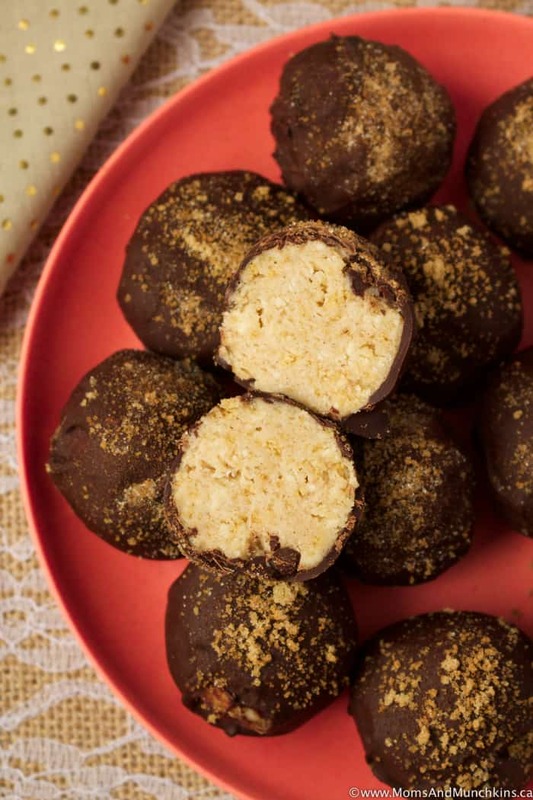 It’s very similar to the cinnamon bun truffles recipe but this doesn’t have Oreos in it and it’s rolled in Cinnamon Toast Crunch instead of dipped in chocolate. 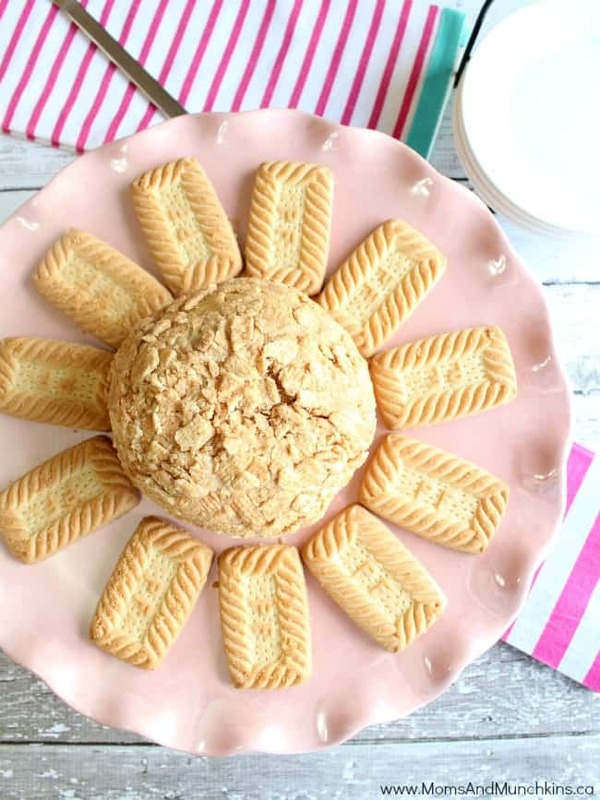 It’s a great dessert idea for a ladies tea party. You’ll find more irresistible desserts on our Recipes page. Stay updated on the latest by following us on Instagram, Facebook, Pinterest and Twitter.